Description (from IMDb): A twenty-something comedienne’s unplanned pregnancy forces her to confront the realities of independent womanhood for the first time. So far, I haven’t commented on a film prior to watching it for this experiment, but I’m REALLY excited about this movie. It had amazing reviews when it came out and Jake Lacy is an underrated gem of an actor (anyone else remember him from the short-lived television show Better With You?). 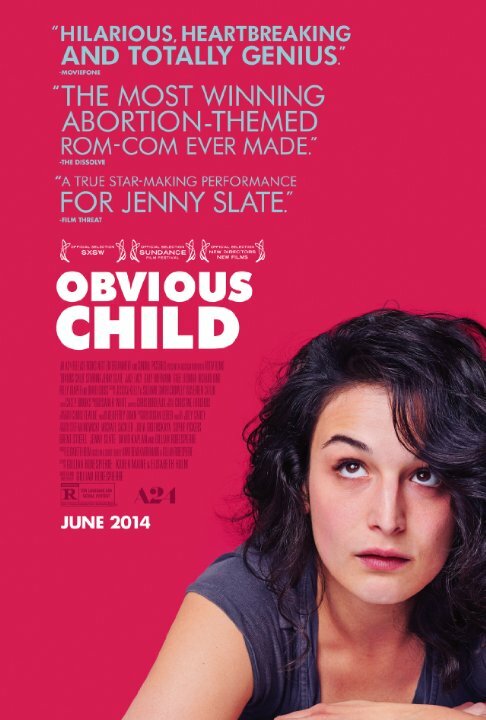 I know the movie is about a woman who gets pregnant from a one-night stand and makes the decision to have an abortion and a lot of critics lauded it for finding a way to be about a woman who has an abortion without it being a movie about abortion. I hope my expectations aren’t too high because I am just ready to love this movie. Okay, just finished it and I freaking loved it. I loved everything about it. I had heard it called a romantic comedy and didn’t really believe it was going to be a romantic comedy, just thought that people were calling it that because it had a female lead and was a comedy and might possibly have a romantic subplot (I’m looking at you, In a World – so not a romantic comedy), but it actually WAS a romantic comedy. And a great one at that. A great, modern romantic comedy that showed two really seemingly incompatible people, who actually are super compatible, dealing with real life issues. I appreciated the minimal use of romantic comedy cliches and the fact that the abortion plot was what it was – just a fact of life. There were no politics or social commentary involved in her decision. No one tried to change her mind, and the father/love interest was wonderfully supportive of her, even though he barely knew her. I just loved everything about this movie. < “N” is for The Naked Gun: From the Files of Police Squad! Rahhh need to watch this now. Is it on Netflix?